Get your grips on the first full length album from Kentucky's own Corduroy Mavericks entitled "Kung Fu Grip". These boys have been a big part of the Flapjack family since the beginning and have since made astounding achievements in the realm of underground house music. The album takes 7 of their classic dance floor smashes chosen from their multiple releases across the Flapjack catalog, and couples them with 3 brand new cuts that can cure raw bacon while the pig is still alive. This is something you will want to get your hands on and sink your teeth into. This LP will literally give you a Kung Fu grip hold on a dance floor, your own goods while listening at home, and within the confines of a speed dating match in the banquet hall of a sub-par hotel. So get your Kung Fu grip on this LP now!!! 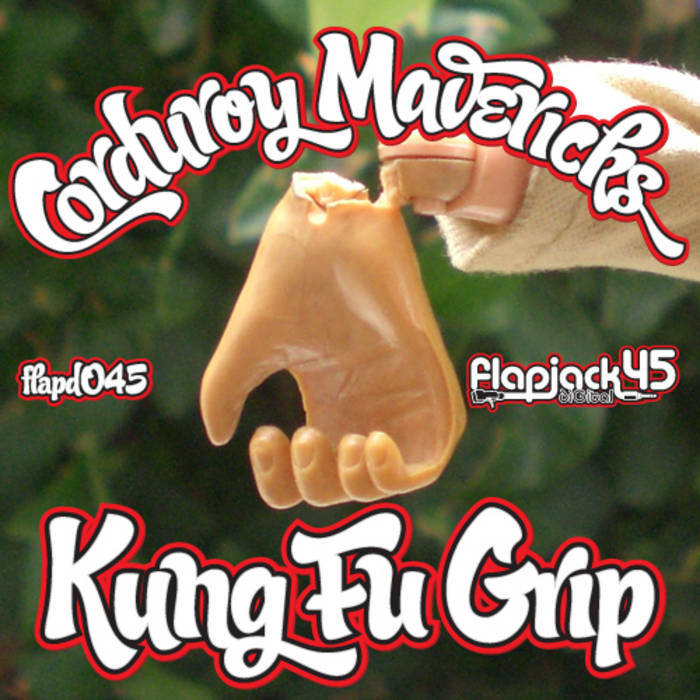 ALSO: If you buy the "whole" album, you will receive 2 more fantastic Corduroy Mavericks tracks in addition as an added bonus!